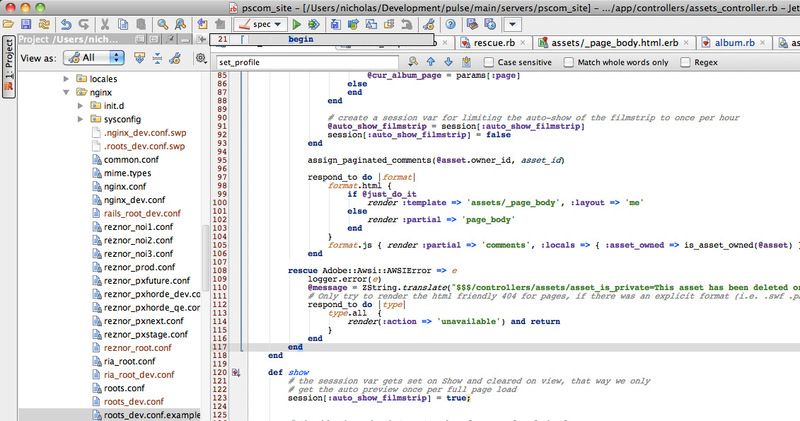 Looking at that image, notice my cursor is set in an end statement. The other end of the block if off the top of the window. Notice the "tooltip" begin thing sitting over the tool buttons at the top of the screen. Is this a bug or is it a feature? If I move my mouse to the top of the screen I can't click the buttons and the tip stays visible. To remove it I need to change the cursor position or hit the escape key. It''s rather a feature that code tooltip doesn't overlap the editor. You visually perceive this too far from editor since you have ctrl-f panel visible, which visually shifts editor down. Is there something more than this? You don't see things that I'd like to see? The problem I have with this tip is that it stays there. I have looked at tips on a number of other tools I use and they typically hide the tip when the mouse moves, and that is what I would like to see here. So my workflow would go something like this, I position the cursor in and end statement and hold my mouse still, the tip pops up showing what the other end of the block looks like. When I move my mouse, the tip should go away. As it is now, it sits there over buttons on the UI making things inaccessible until I force the thing away.